To St George's, Morden, on my old stamping ground of the St Helier Estate where, for seven years, I was vicar of nearby St Peter's, for the licensing of Al Wenham, the new Team Vicar in the Morden Team Ministry. 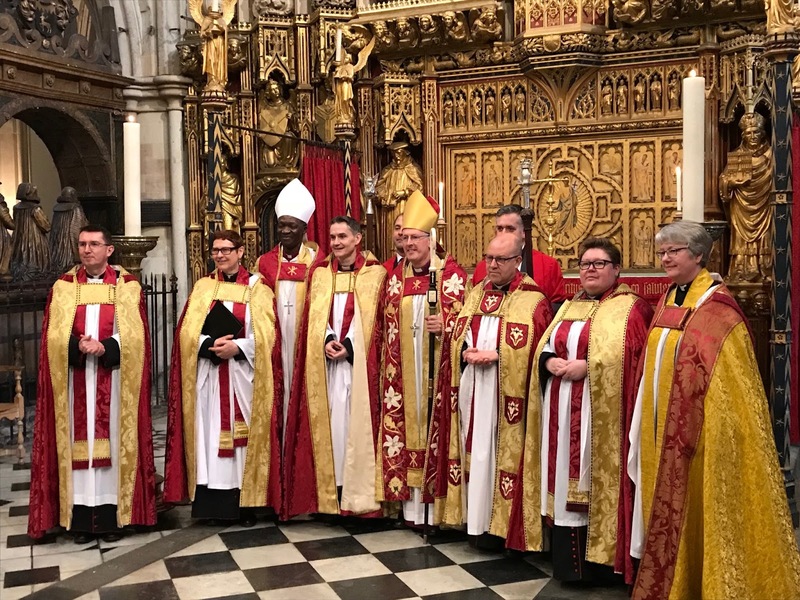 Through the CPAS patronage trust I had been involved in Al's appointment and I was very honoured to be asked by the Bishop of Kingston to preach at tonight's service. 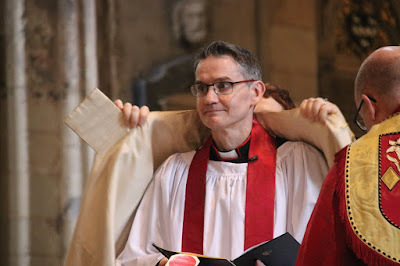 I have known the last three vicars of St George's, and today I had particularly fond memories of Al's immediate predecessor, Les Wells, orginally a member of St Peter's, now Team Rector of Horley. Here is the excellent new vicar of St George's (right), hot foot from Holy Trinity, Wallington, where he has been serving as their curate. 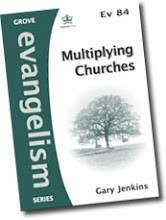 Speaking from Acts 20.13-38, the account of the Apostle Paul's farewell to the Ephesian elders, we considered the Apostle's three-fold strategy as a model for ministry: All the truth, to All the People, in All possible ways. 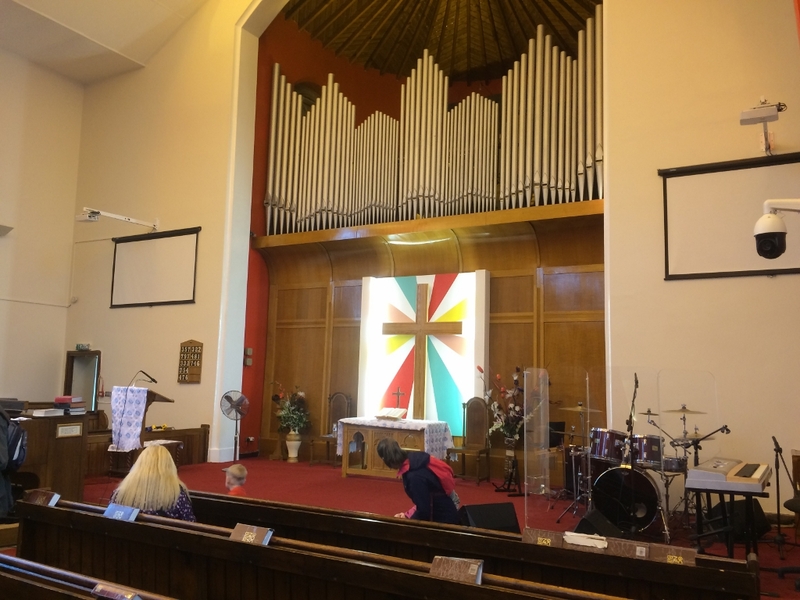 Al, I know has a great love for God's word, and I pray for him and the people of St George's, as they share the Good News of God's love with the people of Morden. UNLOCK is a Christian charity that seeks to serve the poorest communities in our land to unlock the treasure of the Gospel, and to experience the love of the down-to-earth God. Each year the Unlock Sponsored Walk in a different area of inner London gives UNLOCKERS (the charity's supporters) the chance to raise some much needed cash and experience some of the challenges and joys of inner city life in the churches which act as checkpoints along the walk. 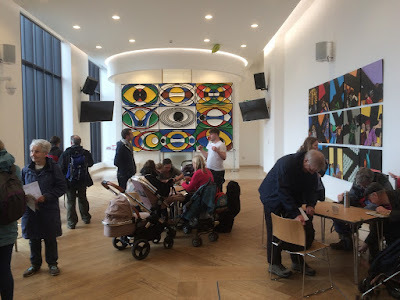 This year's walk was in Tottenham and included the Diocese of London's newest church, St Francis in the Engine Room (above), part of £0.5billion development of ex-industrial land; two Pentecostal churches; a baptist church; an RC church; and a thriving Methodist Church (right) whose membership has grown from 40 to 350 in the past thirty years. The walk also took in the Broadwater Farm Estate, scene of notorious riots in 1985, and it was moving to see the work of the Church on the Farm, sponsored by St Ann's Tottenham, reaching out with the love of Christ to a needy community. 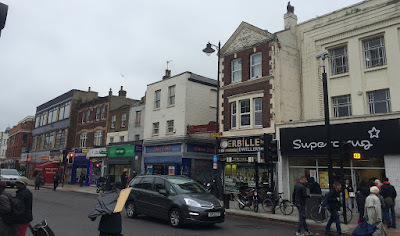 As we walked the streets of Tottenham, it was good to be reminded that God's church is alive and well, sharing the Gospel of God's grace in this incredibly diverse community of Tottenham (said to be the most racially diverse in Europe). 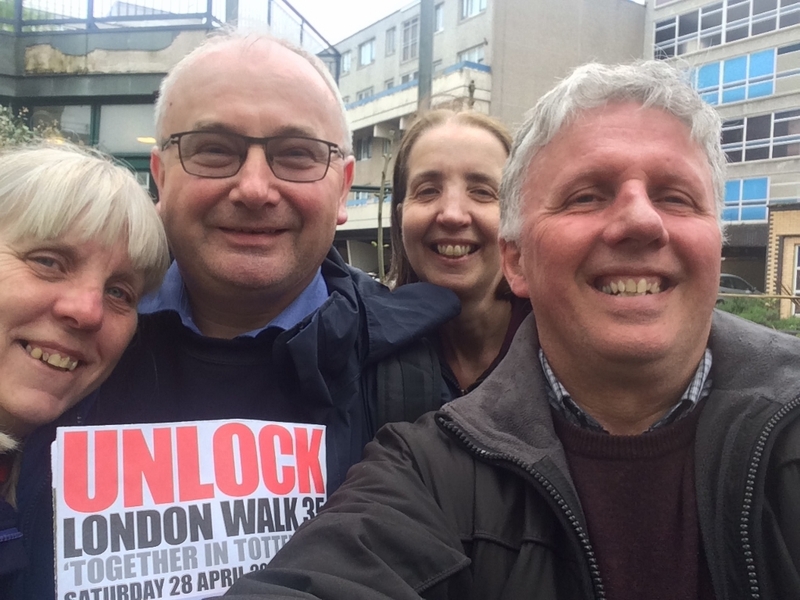 The Unlock walk is one of the highlights of our year. It's always fascinating. 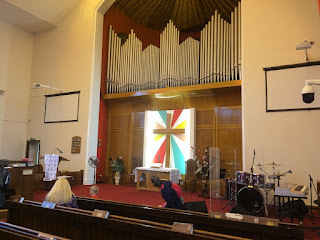 Always heartwarming to think of the love and grace of urban churches. 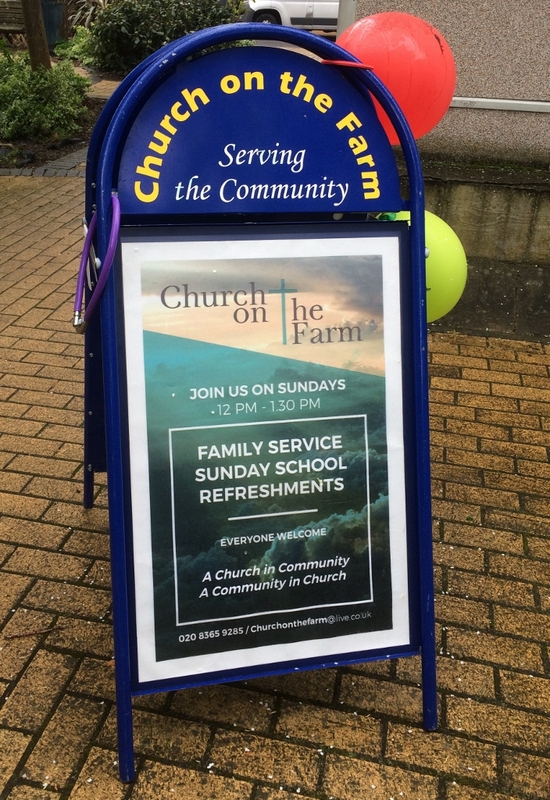 Always challenging to think of the great needs and meagre resources (by comparison with what is lavished on the middle class church by the middle class church). 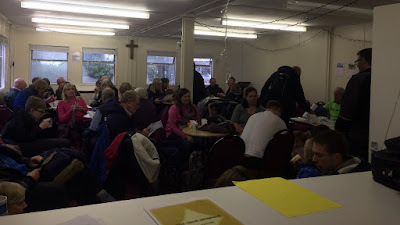 Yet it is from the middle class church that many of the walkers, and many of Unlock's supporters come, so God bless those who come and those who care. 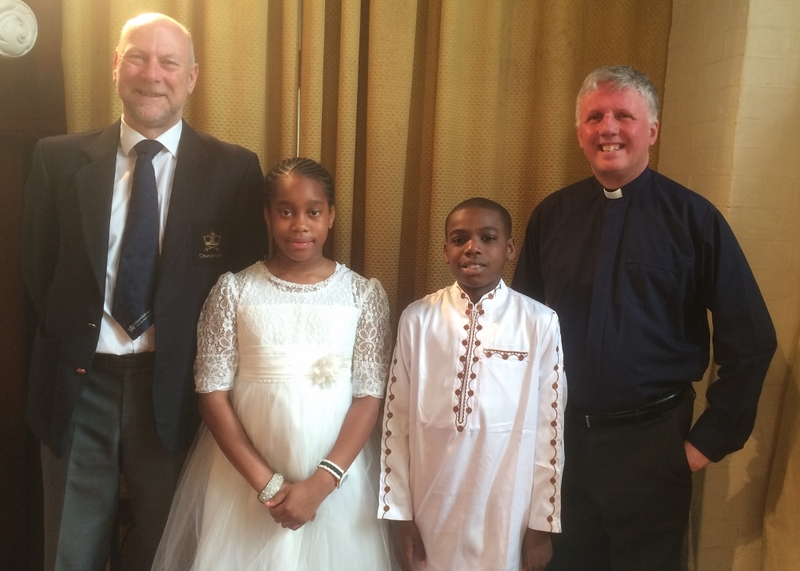 It was a special day at St Anne's today as Jessica and David were admitted to communion at St Anne's. Both have recently been part of our first admission to communion course. 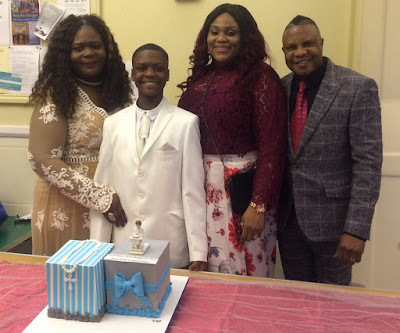 Congratulations to them both, may God bless them, and may many more children come to be admitted to communion in due course. 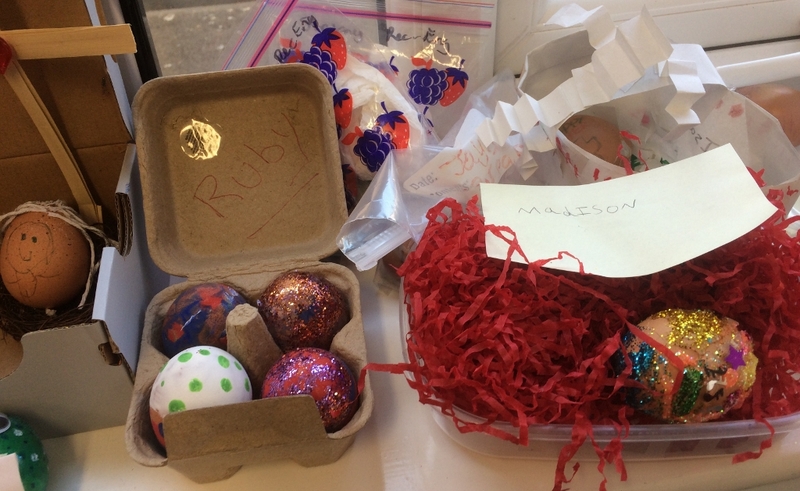 Today we have been judging the entries for the St James School Easter Egg competition. Over the Easter holidays the children have been decorating eggs and on Tuesday at assembly we will be presenting prizes for the most attractive design and the best representation of the meaning of Easter at Key Stage 1 and Key Stage 2. 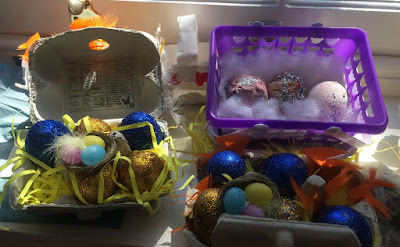 Here are a few of the beautiful designs the children have made. It was a shame the egg didn't make it, but that the author of that note, one of the younger children in the school, had really got the true meaning of Easter. Brilliant. 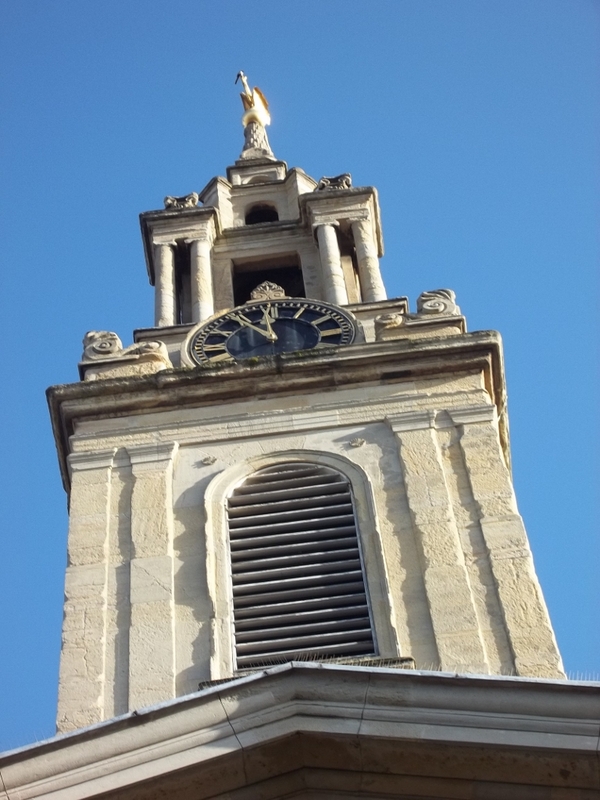 Work has started on a £347,000 project which will see the stonework of St James's tower repaired, the clock repaired and redeocarated, and the dragon weathervane, repaired and regilded. The work will take 20 weeks complete. The massive job of scaffolding the tower and the portico began today. 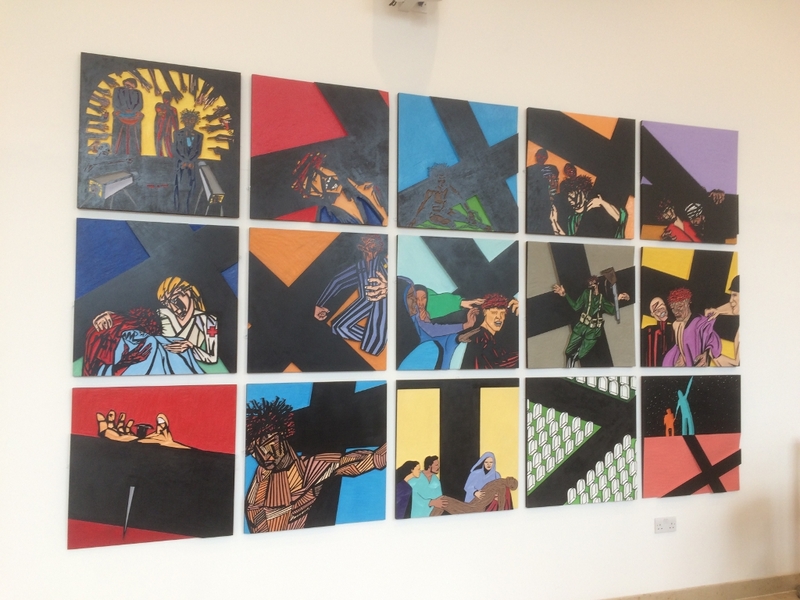 We are delighted to have secured funding of £237k from HLF together with a contribution of £57,000 from St James PCC. During the course of the works there will be two open days for the public to find out about the works, an opportunity to climb to the very top of the tower, and a chance to meet the famous Bermondsey dragon close up (when it comes back down to the ground before going off for repair). 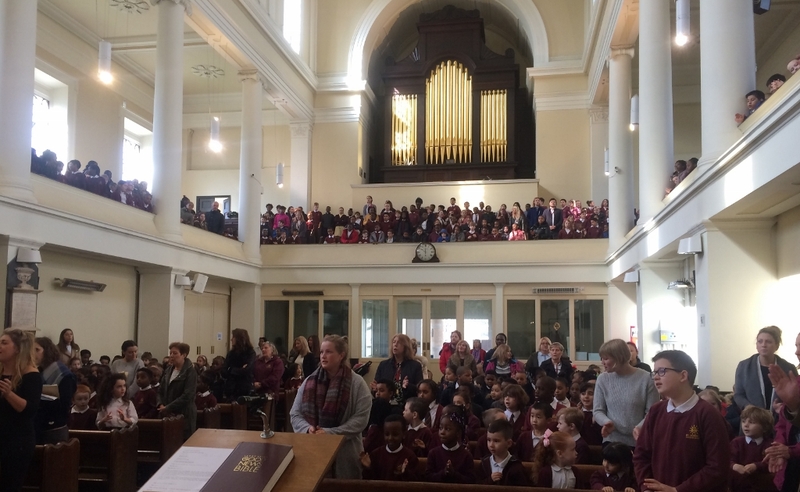 It was back to school for St James's School today and we started the term off with our beginning of term Easter service. First I needed to gather my props. 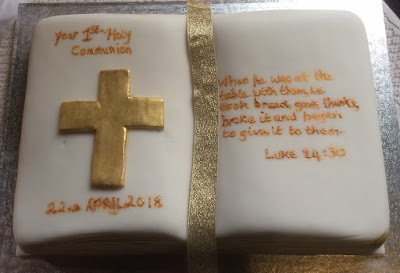 Ideally I needed a piece of grilled fish but on this occasion a fish finger had to do, and I needed the cloth from the empty tomb in the church narthex. A fish finger and a cloth? 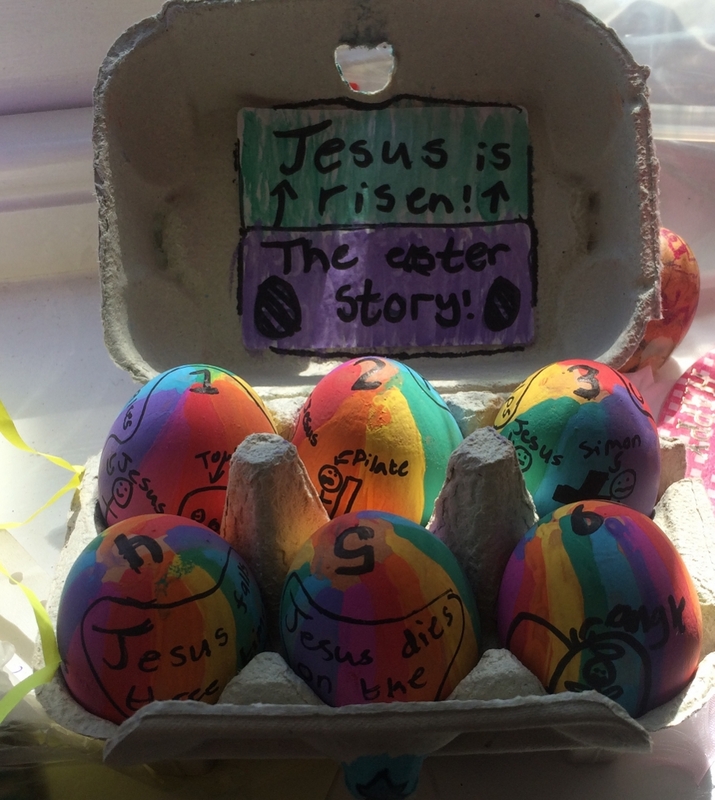 The cloth was all they found when they went to the tomb on the first Easter Day. The cloth had been used to wrap the body of Jesus in, but, as the angel explained to the woman, Jesus was not there, he had been raised. There was no body, just the cloth there in the tomb. 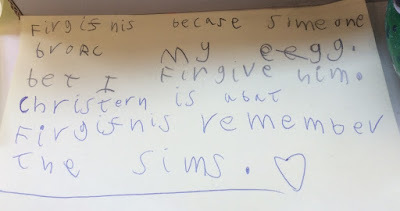 They gave him some grilled fish (fish finger, in our retelling of the story), and he ate it. They knew he was not a ghost but a real live human being in a newly resurrected body. 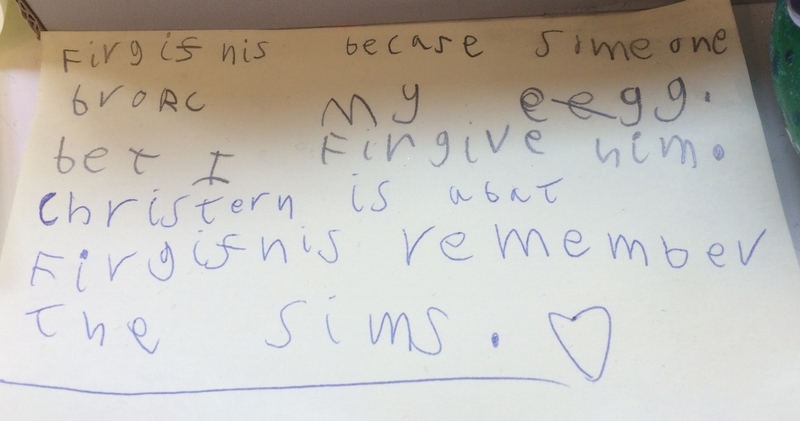 So, I said to the children, remember the cloth and remember the fish. Together they tell us that Jesus was alive. He had come back from the dead. He is alive forevermore. 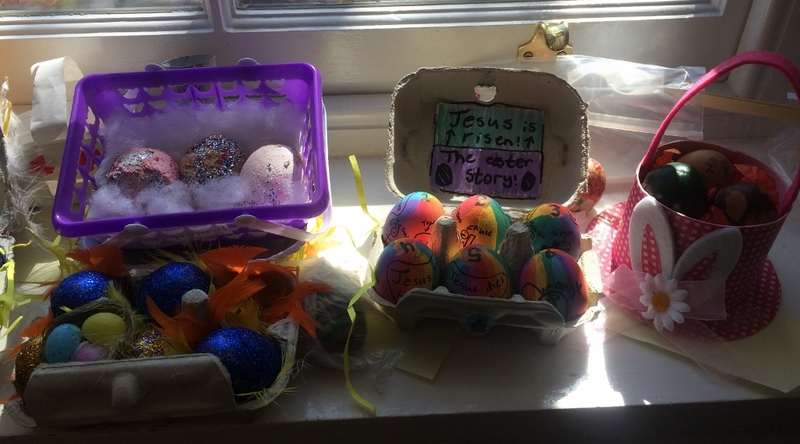 That's the best news of all, and we celebrated it in the song that the whole school has been learning: celebrate Jesus is alive. 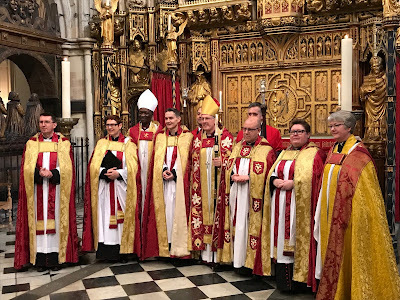 To Southwark Cathedral for the installation of Jay Colwill as Canon Missioner (fourth from left in the photo). A huge crowd from Jay's old parish of Christ Church, Orpington, came to give their support this afternoon as Jay was formally commissioned by the Bishop of Southwark, for his new work of encouraging mission and evangelism across the Diocese. An added bonus so far as we are concerned is that Jay and his family are living in one of the canon's houses in our parish. 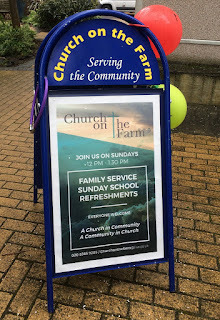 We were delighted that they could all worship with us at St James on Easter Day and I am thrilled that Jay has already discovered the delights of the Servewell Cafe in West Lane, so a big welcome to our new parishioners, and may God bless you in your new home, and in your new work for him. 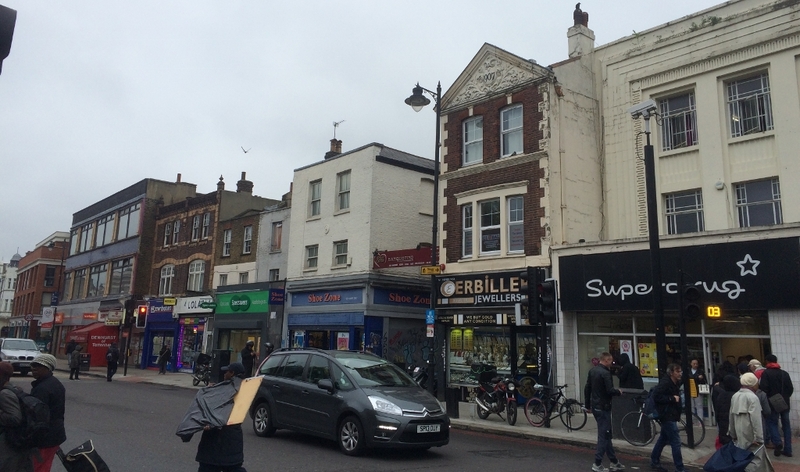 Solved: the mystery of the Bermondsey dragon? A visitor to the church, with a bit of help from Google, may have solved the mystery of the Bermondsey dragon. 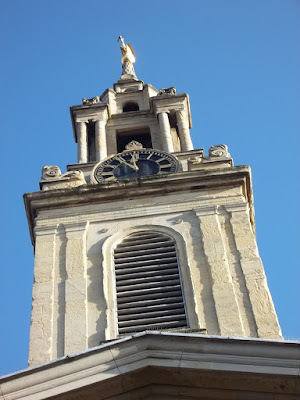 The famous golden weathervane on the top of St James's belltower has puzzled people down the generations, but now Mark M has discovered an intriguing link with the City of London, just across the river. shield with the cross of St George, supported by two dragons (famously defeated by the saint). 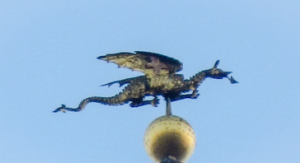 This has led to the dragon itself being seen as a symbol of London, and to it being immortalised in a least one City church, namely, St Mary-le-Bow, whose dragon (below) bears more than a passing rememblance to that of St James. 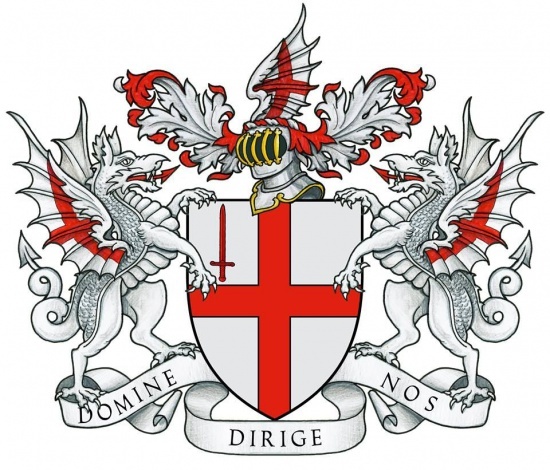 Incidentally, it also has two red crosses of St George painted on it, confirming the link with St George and the City coat of arms. Whether the founders of St James had a link with St Mary-le-Bow or whether they were city businessmen wanting to make a link with the City of London across the river, it looks like that the dragon of St James is a link to the City, and via the City, to St George, and via St George, to the triumph of good over evil and as such it begins to make a bit more sense as a symbol on top of a church. Very soon St James's dragon will be coming down to ground level for a few days before it goes off for a bit of refurbishment before being put back in place on a newly repaired tower. Watch this space to find out when you can come and view the dragon close up and hear BermondseyVicar's sermon on the dragon from the book of Revelation. 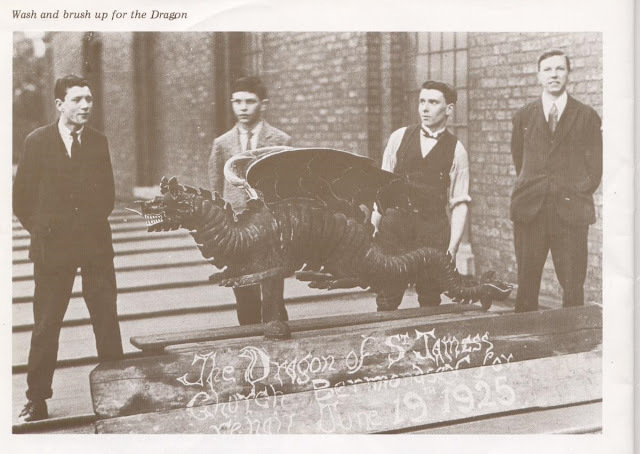 Finally, here's a picture of the dragon when it came down for a wash and brush up in 1925. The Orthodox churches really like to make something of Easter. They like to make as much noise as possible as they celebrate the resurrection of Christ. 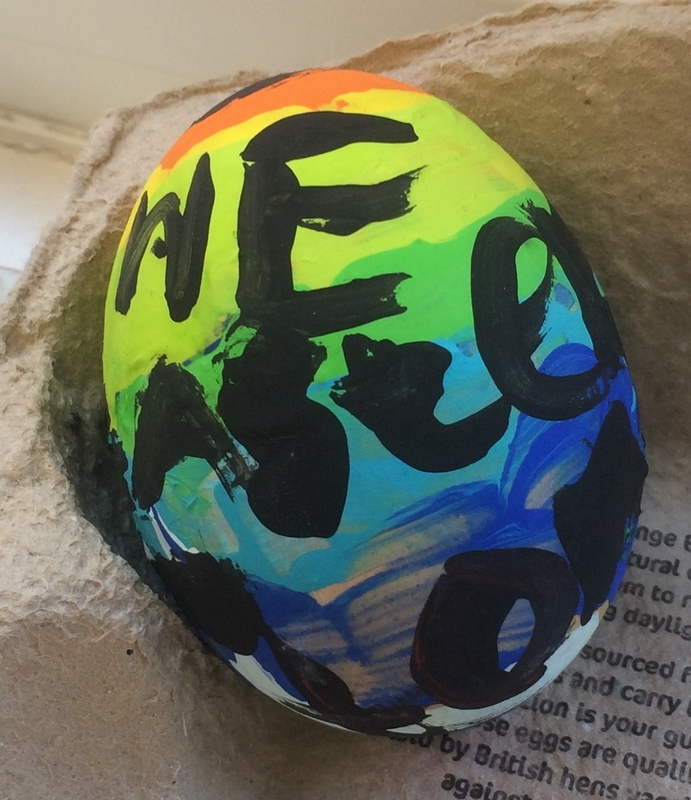 And in the St Nektarios Greek Orthodox Church in London, Father Chris Christodoulou likes to proclaim the resurrection in his own special way: (Perhaps something to think about for Bermondsey next year). 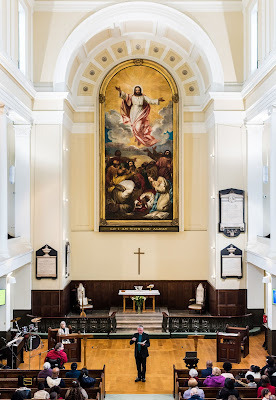 In the Narthex of St James the empty tomb and the cross proclaimed the essential message of Easter in the words of Jesus from Revelation 1.18: 'I was dead but now I am alive forever and ever' . 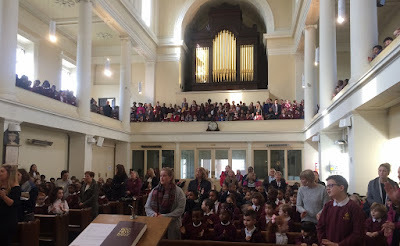 Inside a packed congregation sang the Easter hymns and songs, considered the evidence for the resurrection in a you-the-jury presentation of the events of the first Easter Day, and shared in Holy Communion, remembering the Lord who was dead, is now alive and, is indeed with us by his Spirit. 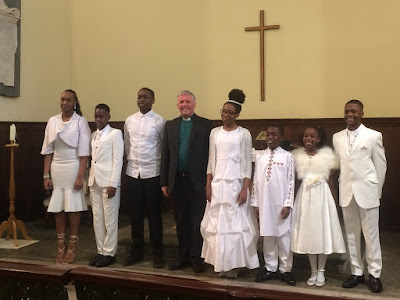 Just before that, a special moment was the admission to communion of Sasha, Soul, Caleb, Rebecca, Romeo, Arabella, and Banji (pictured below). All seven have taken part in our admission to communion course, alongside David & Jessica from St Anne's who will be admitted on Sunday 22nd April. 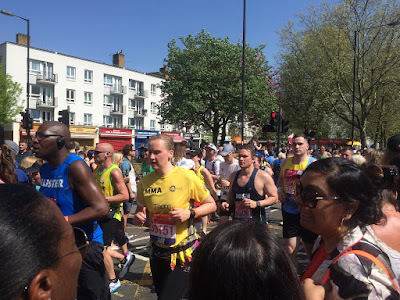 Congratulations to them all. 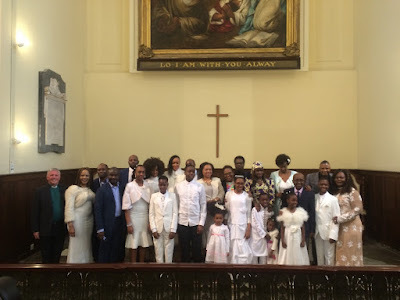 May God bless them as they go on trusting and serving him. 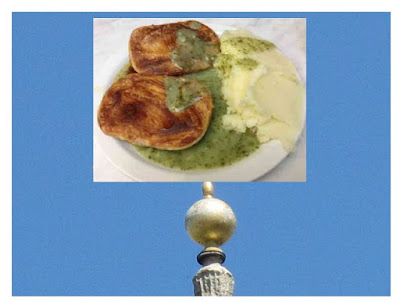 Pie & mash to replace dragon? 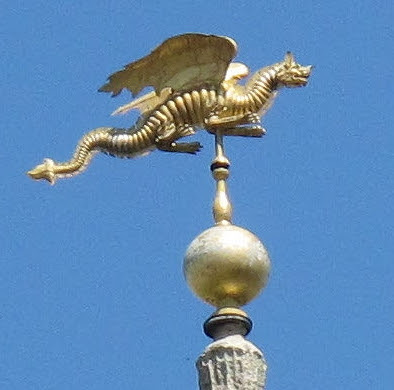 The golden dragon that has puzzled generations of Bermondsey people could soon find a new home, and the church could have a new Bermondsey-themed weather vane. 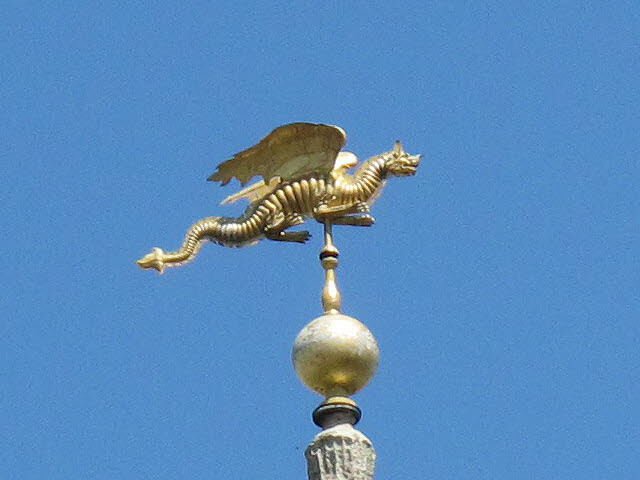 No one really knows why the weather vane of St James is a golden dragon, flying high above Bermondsey, but now that the dragon is to be taken down for conservation purposes, some local people think it is time for the dragon to find a new home in a museum. With the dragon safely ensconced in its new residence a new. more fitting weather vane can be fitted to the church tower. A golden cross would be an obvious, if unoriginal, solution. 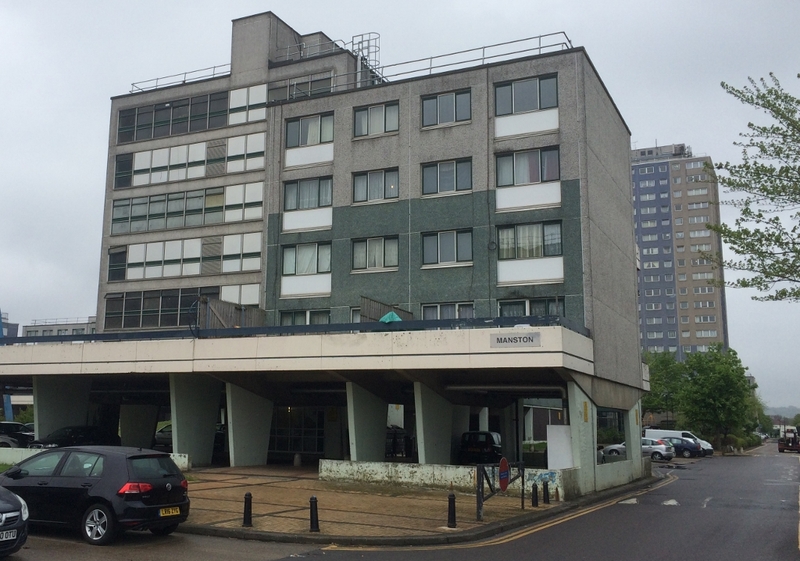 Bermondsey activists suggest something with more of a local flavour.